Enjoy $9.99 flat rate shipping in Canada for non-live goods on orders over $100 (excludes furniture & Indoor Growing products). This item is restricted to Calgary and area delivery only. Please click here for the list of towns where delivery is available. 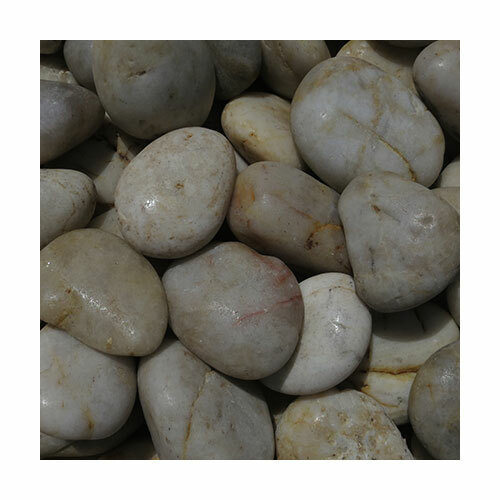 This tumbled, polished river rock is great for many uses including gardens, ponds, terrariums and glass features. Approximate diameter is 3-5 centimeters or 2 inches. Good Friday: 9:00 a.m. - 6:00 p.m.
Mon to Sun: 9:00 a.m. - 6:00 p.m.